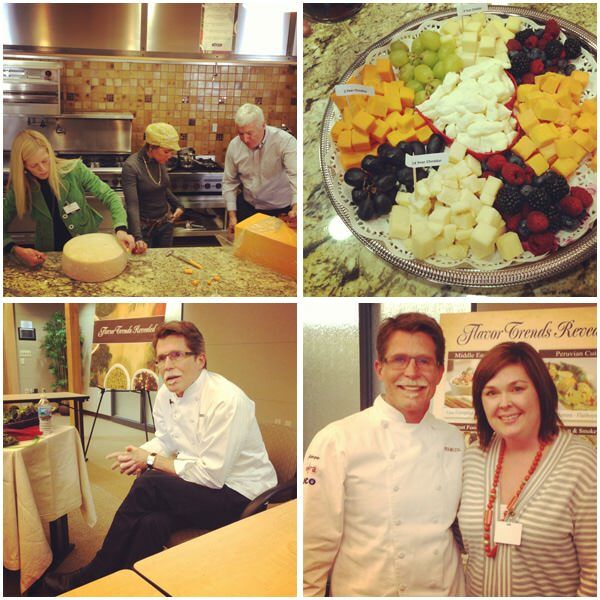 A few weeks ago, I was lucky enough to go to the Sargento Cheese Headquarters in Plymouth, Wisconsin. Cheese is a pretty big part of my life and Sargento is a company that I love. I was thrilled to be asked to spend the year being a flavor correspondent discovering the top 10 food trends that Rick Bayless has identified for this year. I have been a huge Rick Bayless fan for many, many years. In fact, Mexico: One Plate at a Time was one of the first cookbooks that I ever bought myself and have been carting it around since college. We began our day learning about the company, what it believes in, and about the products that they make and distribute. It seems like such a nice place to work, the people were happy and smiling, and everyone loves what they do. I was so impressed, I asked my husband if he would consider moving to Wisconsin when he retires. (I’ll get back to you on that.) After an incredible 5-course lunch, we learned about grading cheese, and experienced the life cycle of cheddar. My favorite was the 4-year cheddar, and I discovered that cheese curds are heaven. When friends discovered that I was in Wisconsin, I was asked to bring this delicacy home in my carry on. I get it now. We moved into another room, only to be surprised to learn about the flavor trends from the horse’s own mouth. Rick (‘cuz we are totally besties now) spent the afternoon teaching us about the trends that he identified. To be honest, I was a little star-struck, I am a HUGE Top Chef fan, and he not only was my favorite on Top Chef Masters, but he won. He truly could not have been nicer, and I think that the thing that I love the most about him is his appreciation of the home cook. He understands that cooking in the home is truly necessary and that teaching people to cook and enjoy food is just as important. 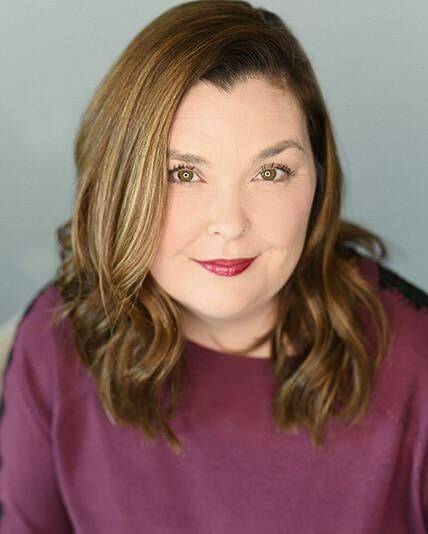 And if you have spent anytime here, you know that it is my goal as well to teach people to be more confident in the kitchen and to love cooking as much as I do. What are the trends you ask? 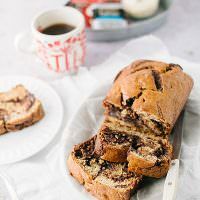 I am going to be spending the year focusing on using herbs in dessert, just like in this recipe, and cooking with habanero peppers. And dabbling with the other trends as well. I decided to start off by making a ricotta cheese based ice cream. 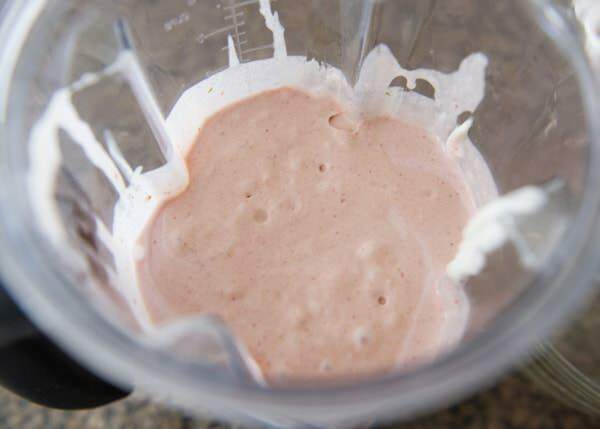 Making an ice cream like this is incredibly simple, you are just blending ingredients together and not having to make a custard. You could use this as a base for so many flavors. 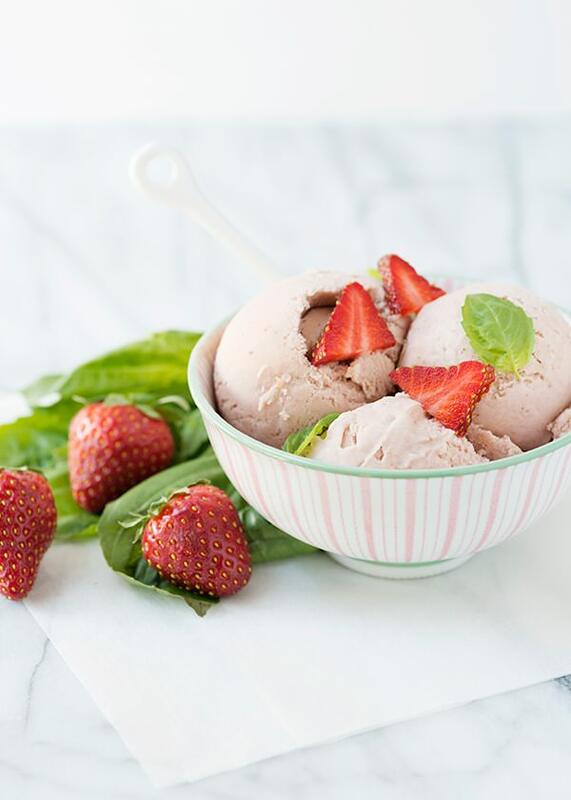 Strawberries and basil are a beautiful combination. 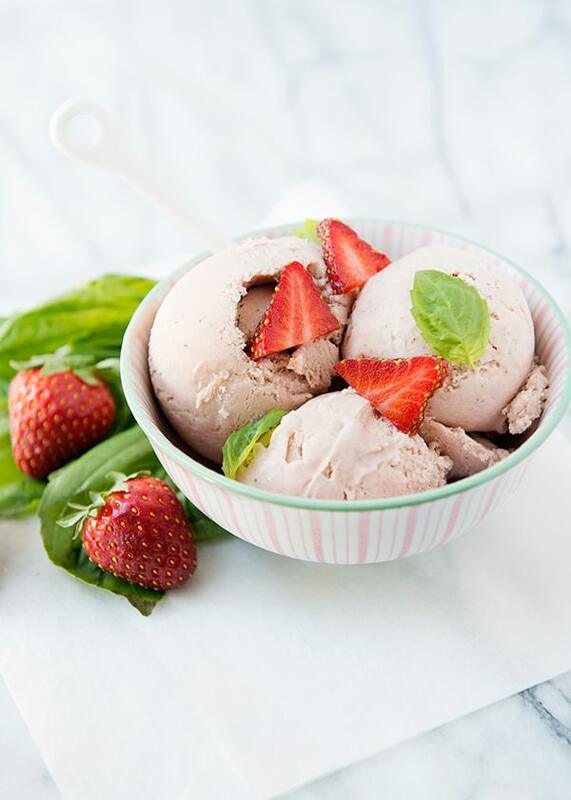 Both are sweet, and the addition of the basil gives this ice cream an almost minty flavor. It is a great way to start playing with the idea of herbs in a dessert, instead of just a savory dish. 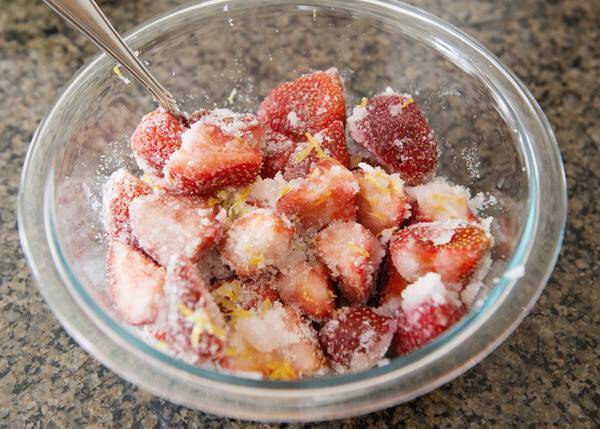 Add the strawberries, sugar, vodka, lemon zest, and lemon juice to a bowl. Toss and let sit for one hour. 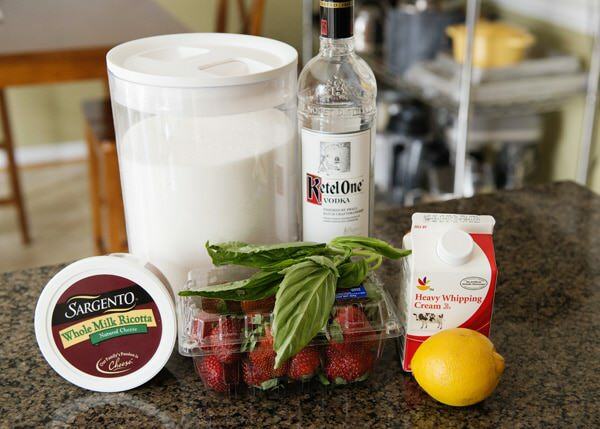 Add the strawberry mixture, basil leaves, ricotta cheese, and cream to a blender. Pulse to combine, or if you like smooth ice cream, process until smooth. Cover and let chill for 4 hours, or overnight. Freeze according to the manufacture’s instructions for your ice cream maker. 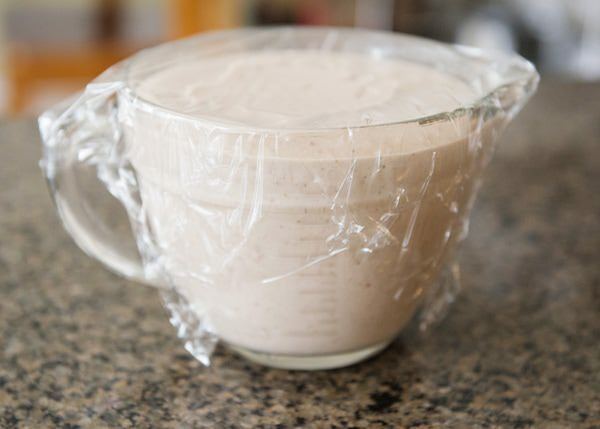 Freeze for 20 minutes, and transfer to a freeze-proof container. Freeze until hard. Scoop and serve. 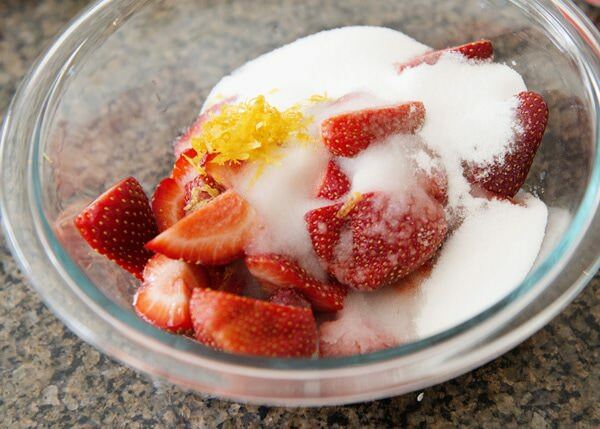 Add the strawberries, sugar, vodka, lemon zest, and lemon juice to a bowl. Toss and let sit for one hour. 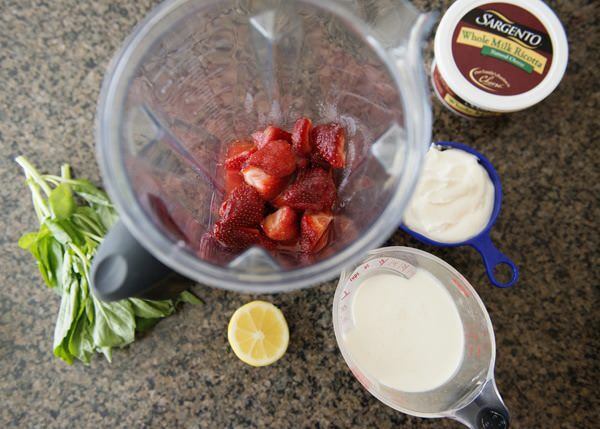 Add the strawberry mixture, basil leaves, ricotta cheese, and cream to a blender. Pulse to combine, or if you like smooth ice cream, process until smooth. Let chill for 4 hours, or overnight. Oh, Bree…your ice cream looks heavenly! I love the use of ricotta in this dessert and, as a major ice cream fan, really need to try it. Looking forward to a year of fun and delicious recipes! Thank you Ann! It was pleasure to meet you and I am looking forward to working with you this year. This is like summer in a bowl! Yum! That was what I was thinking when I was making it. Two of my favorite flavors! I seriously need to start making my own ice creams. Yes you do! 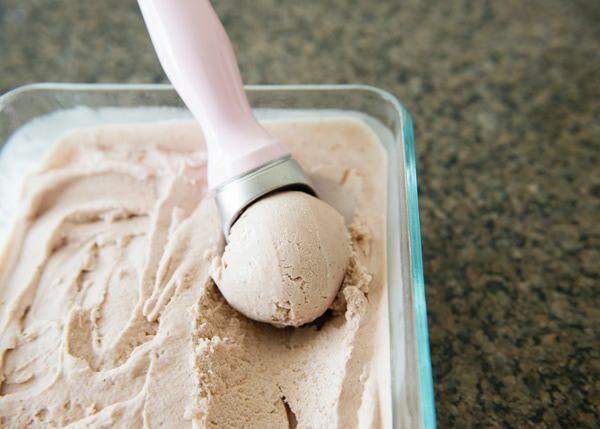 They are really easy to make and fresh ice cream is a treat. This is why I need an ice cream maker. Ice cream season is SO CLOSE I CAN TASTE IT! Yes you do! I love having an ice cream maker. Love this combo, I also add a little balsamic vinegar to mine : ) Sounds nuts but works! I live is Wisconsin, very close to Sargento. I hope you enjoyed your visit to Wisconsin, it is a great place to live. I look forward to your future postings about Sargento. Going to make it soon! Now i know what to do with all the basil i have! Thanks for sharing. Always an inspiration. That is a good problem to have! It must have been great going to the Sargento headquarters. 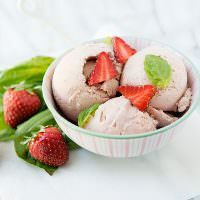 I love ice cream and I know that basil and strawberries make the perfect pair. I will be making this recipe soon. It was! I hope that you like it! That was such a great, quick trip! Glad to have met there! And, making this ice cream. Yup. Sure am. Basil is mu top 3 fave herbs. Niiiice looking stuff, girl! I haven’t grabbed any local strawberries yet, but I’ll be on the look-out for them this weekend. This ice cream looks like a delicious for them! It is the perfect thing to use them on. I hope you love it as much as I do.